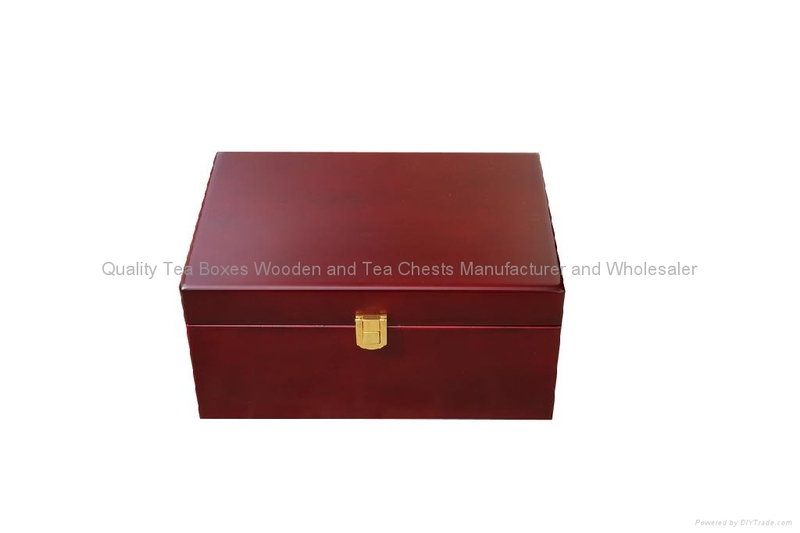 This attractive mahogany finished wooden tea box is made from solid wood for loose teas. Inside customer can put tea tins per compartment. We made the inside compartment dividers much more thick to print customer's tea name to show the brand or teas information clearly. Also this golden hardwares make the whole box much more modern. We could imprint, gold/silver emboss or engrave customer's logo or design to meet with hardwares color. 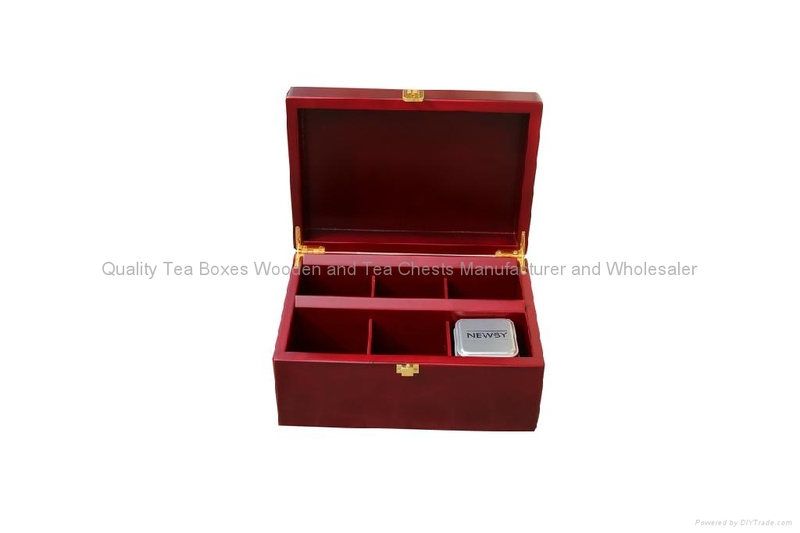 We take great pride in manufacturing the highest quality, custom made tea wooden stand and tea wooden chest for each and every customer. We have the skilled workforce and expertise required to meet any and all of your wooden box needs.